One of the many reasons that you are an inspiring teacher is that you appreciate the feeling of getting lost inside a great book. You know what it’s like to feel as if the characters are your friends, to wish to live in the same town or mythical world as the story’s hero, and even what it’s like to have a story move you to laugh and cry out loud. Since you understand the value of reading, you also realize that today’s students may be losing a valuable component of their development by choosing electronics, YouTube and video games over curling up with a good book. According to the Children’s Literacy Foundation (CLF), one out of six children who does not read at age level by the end of third grade will not graduate from high school. Consider that 65 percent of America’s fourth graders do not read at a proficient level, and teachers have a valid concern for their students’ academic well-being. While CLF studies demonstrate that several factors impact a child’s likelihood to develop an independent reading habit, 80 percent of students surveyed by CLF reported that the book they enjoyed the most was one they had selected for themselves, reinforcing that independent reading is a critical component of the literary engagement needed for students to develop reading proficiency. Teachers of all grade levels play a pivotal role in encouraging independent reading. 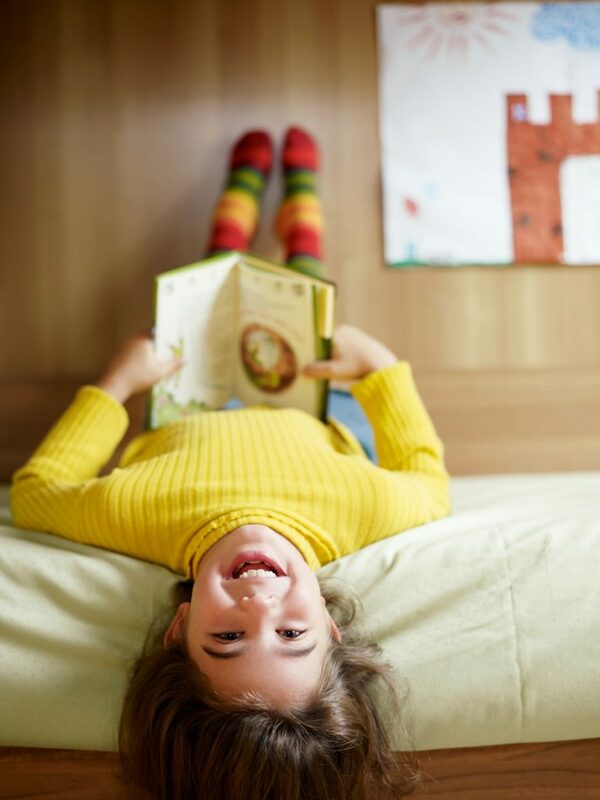 If you see the signs that your students are tuned out of books and too tuned in to their electronic devices, then follow these seven tips to re-engage them and teach them the value and joy of independent reading. Establish a Book Club. Talk to your administration about forming a book club in your school. A book club provides a way for students to socialize and develop new friendships, encourages the independent reading of student-selected books, and stimulates valuable dialogue that will teach students to appreciate storytelling through the printed word. Students will also benefit from active discussion about the main themes of the book, characters, and author’s writing style. Set Aside Classroom Time for Independent Reading. Since studies show that students are most interested in books they choose themselves, commit weekly if not daily classroom time for independent reading. When students get hooked on a story or author, they are more likely to continue to read outside of the classroom. Leverage Your Librarians. Students will be motivated to read the titles recommended by your school’s literary experts. Invite your school librarian into your classroom several times a year to introduce students to age-appropriate books from new titles and new authors as well as the classics. Keep Your Classroom Stocked with Books. Remove barriers some students may face accessing quality, affordable books. Not every student will have easy access to books at home, so by allowing them to borrow books from your classroom, you can enable them to read both in and out of school. Create a “Caught Reading” Campaign. Students need to see the potential for lifelong learning through reading. Encourage all of your teachers in all subjects, and your administrators, to let you photograph them reading their favorite books. Share the images as posters around your school, in student newsletters, and on your school’s social media pages (with parent/guardian permission of course). Incorporate Digital Technology. Create an assignment where students film themselves acting out a scene from their favorite books. Such an assignment allows students to leverage the digital tools and devices they love to both experience storytelling and share their enthusiasm for their favorite book. Introduce Students to New Genres, Authors, and Titles. Set up a book exchange, or ask students to pull their next read out of a bin while blindfolded. Students can get into a rut if they don’t expand their mind and read a wide variety of story types. Realizing they enjoy a title they would not previously have chosen will help encourage future independent exploration. No matter how much digital technology evolves, there will always be a place in our lives for the printed word. By fostering a culture in your classroom that values independent reading, students will be more likely to further explore new titles on their own and develop into lifelong independent learners.